Speaker for the Left or Right front door. Fits all 1991-1997 It is amazing how nice the sound really is with a new speaker! Check out our Remanufactured Factory Radios also!! LX450 six cd changer magazine. Power antenna assembly. 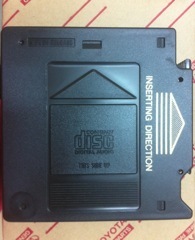 Fits 1996 and 1997 Lexus LX450. Also fits the 1997 Toyota Land Cruisers. Used part. New is no longer available. Left and right radio bracket with screws. Used and in good working condition. USED Radio Speaker Assembly, Right side. Mounts into knee panel. 1991-1997 Toyota Landcruisers with premium sound system.